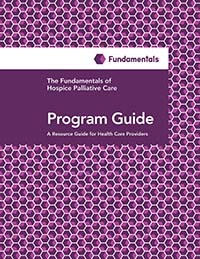 This course is suitable for all health-care providers from every discipline including dieticians, physiotherapists, occupational therapists, social workers, chaplaincy, PSWs, DSWs, nurses, housekeeping, volunteers and any other domains providing palliative care. Duration of course: Course consists of 3 in-class sessions (3 hours per session) as well as self-directed online learning and two peer-to-peer exchanges. Course will be delivered in either a six or eight week format. Mandatory attendance at all classes is required to receive a certificate of completion. New! Register and pay online below!